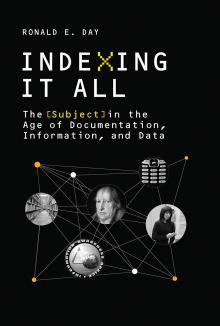 This is an amended review of Ron Day’s new book, Indexing it all: the subject in the age of documentation, information and data (MIT Press). The full review will appear in Information Polity. The significance and continuing influence of the documentation movement of the early twentieth century has become increasing commented upon in recent years. This new, and thought-provoking book, may be seen, at least in part, as a continuation of this trend. Its considerations are presented from the perspective of the library and information science discipline, generally accepted as the heir of the documentation, although the documentation concept itself is undergoing something of a renaissance. It therefore fits well into the scope of the History and Foundations of Information Science series, of which it is a part. In the preface, Ron Day states an intention to give “a critical epistemic-historical account of the development of the modern documentary tradition and its mode of governmentality in the twentieth century and now in the twenty-first [and] an intellectual history of the modern role of documentary indexing”. While there is, necessarily, some overlap with other recent works, this is largely a novel perspective on the subject. The author suggests that this a “darker book” than many unduly optimistic treatments of new media and the new information age, but I am not sure that this necessarily valid, given the numerous published laments about the effect of the internet in particular; I certainly did not feel depressed after reading it. It is not, it has to be said, always an easy read, and readers accustomed to the norms of writing in information science and information society may find it intellectually bracing, in a good way. The book is divided into five main sections, completed by an introduction and conclusion. The structure is clear, the book seems free from errors, and the bibliography is appropriate, although – as noted below – selective rather than comprehensive. The first main section considers the relation between persons and texts, taking Paul Otlet and Martin Heidegger as representatives of two distinct viewpoints. Very roughly, and doing violence to the detailed arguments presented here, Otlet personifies the view of documents as containers of information, used to provide facts to meet specific information needs, while Heidegger is concerned with documents as providing personal understanding through a relation between book and reader. Information retrieval and fact checking versus close reading and hermeneutics, one might say. It is not entirely novel say that the former is in the ascendency over the latter at present, and that brings both good and bad consequences; but Day says it with more evidence and rigour than most. I confess to having some doubts as to the extent to which, in reasonably recent times, most readers ‘dwelled in’ most fact-based books, rather then scanning them for information; and there is little doubt that, as Otlet was one of the first to note, that a single source will be inadequate, and a network is needed. But there is no doubt that the philosophical scaffolding given here does support much current concern about a reliance on decontextualised facts and figures. The second section focuses on indexing and ‘aboutness’, and then looks in detail at citation indexing, and its relation to objective and subjective identities and values. Here again Day focuses on an interesting dichotomy, personified this time by the traditions of Otlet and of Charles Ammi Cutter. The former sees information as an abstract quantity, to be found in documents to satisfy an information need; the latter sees information and documents as essentially synonymous. 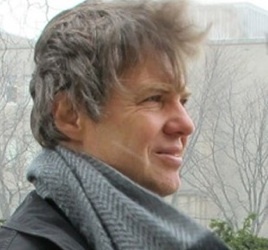 This debate has never been settled, although it has certainly been illuminated by the writings of Michael Buckland, given a deservedly central place in the discussion here, and it is perhaps unreasonable to expect a settlement; it is certainly true, as Day points out, that library/information science is rather conflicted as to whether its concern is information or documents. The discussion of subjectivity and objectivity is interesting, though I think Day may over-play the distinction between physical science (objective) and social science (subjective). At a time when the sciences are dealing with quantum entanglement, eleven dimensions of string theory and seven kinds of multiverse, there may be scope for a more overlapping information concept. The third section follows from this, considering the idea of indexing, and how it is affected by social media and social networking. Thus far the discussions have dealt with topics familiar to readers of the information science literature, though certainly examining them from a novel perspective. The fourth and fifth sections move away from this ground to a considerable extent, respectively dealing with through a consideration of android robots, where ‘document’ is understood as the operating instructions and interactions of such entities, and with the idea of document in the context of ‘big data’. Nonetheless, readers from this background would do well to note the issues raised here, as they are likely to press increasingly on the concerns of the library/information disciplines. The book casts a critical, and generally unsympathetic eye, on the use of collections of ‘big data’ and ‘big information’; most particularly that gathered by government, wanting to know what its citizens are doing, and by commerce, wanting to sell things more effectively. The irony, as pointed out, is that the enthusiasm for the use of networked, geo-located devices in conjunction with social media is generating such profusion of such data that their users are making themselves into documentary objects. This is linked with a tendency towards crude “the data says …” theories and models, which Day, perhaps not entirely fairly, equates with data science: in my view, that speciality is capable of more nuanced treatment of data. This argument brings us back to Otlet, from whom it is suggested that our preference for skimming many sources (‘big information’) causes us to lose out as we abandon close reading and critical analysis. Well, up to a point. It is certainly true that being overwhelmed with snippets is not a good situation; concepts such as ‘informational balance’ may be useful in overcoming this. But those of us who old enough to remember what things were like before networked digital information, would not for the most part, I think, want to go back. The coverage is generally thorough, although the treatment of some specific topics is rather cursory/ Information literacy, in particular, deserves a fuller treatment than it gets here; the ‘radical information literacy’ approach is surely relevant, and it is a pity that Andrew Whitworth’s 2014 book would have appeared to late for consideration. Luciano Floridi’s recent book on the Fourth Revolution is also very relevant to these issues. In a age when those who wrote articles now blog, those who blogged now tweet, and those who tweeted simply post a photograph, this book is a well-argued plea for critical reflection, particularly through the lens of critical theory. While the application of critical theory is not new to the information sciences (see, for example, the collection edited by Leckie, Given and Buschman), this book gives a particularly clear indication of its value. It will repay reading and re-reading, preferably alongside other viewpoints on the same material, and can be recommended for advanced students and their teachers, and for those who like to reflect on the, often unconsidered, frameworks upholding the practice of the information disciplines.